Burning the midnight oil to bring you this week’s British favourite. The reason being is that my rather lovely friend took me along to a screen printing workshop for a little birthday treat tonight. If you want to have a cheeky stalk there’s a *few* pictures on Instagram. Back to this week though, and the question of a another cupcake and a few bananas. 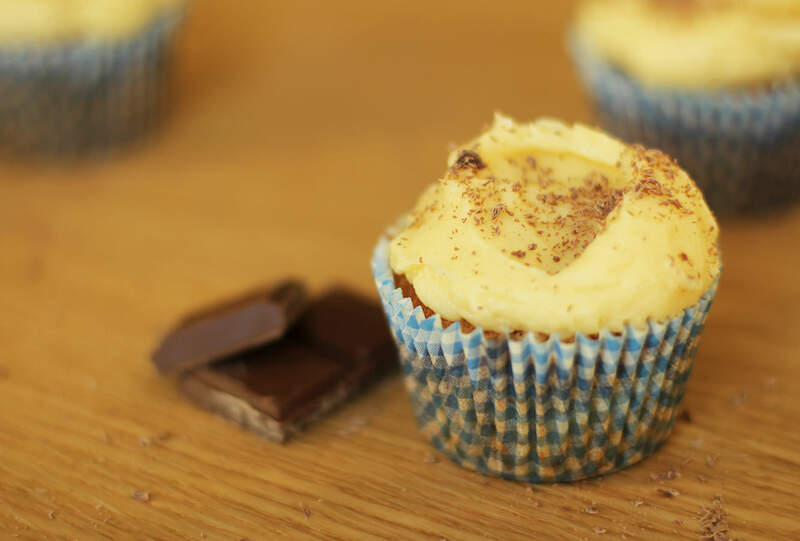 Of course, it’s about time the classic banoffee pie made an appearance in this little series. There’re few things that pair better than banana and caramel in my opinion, so it took quite a lot of focus not to just make the toffee filling and skip off to the garden with a bowl of banana to suffocate in sauce. I mean, if you’re going to eat fruit, do it right. 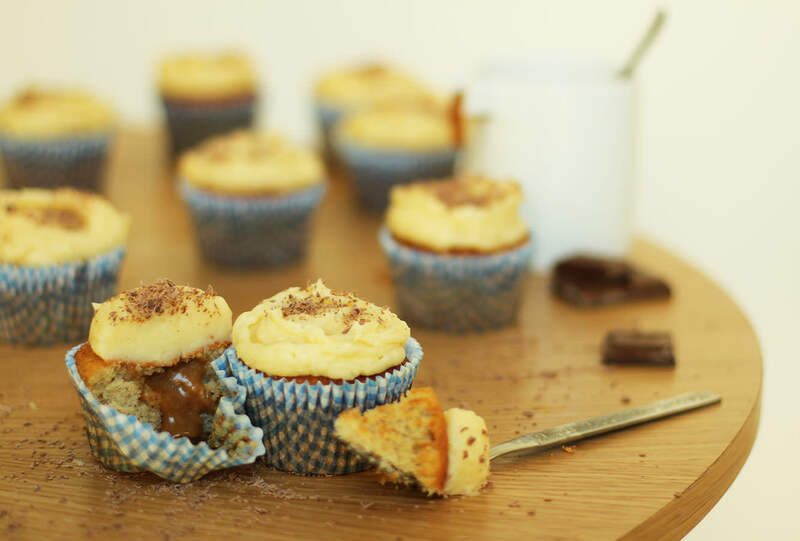 So, without further ado, here go the banoffee pie cupcakes. 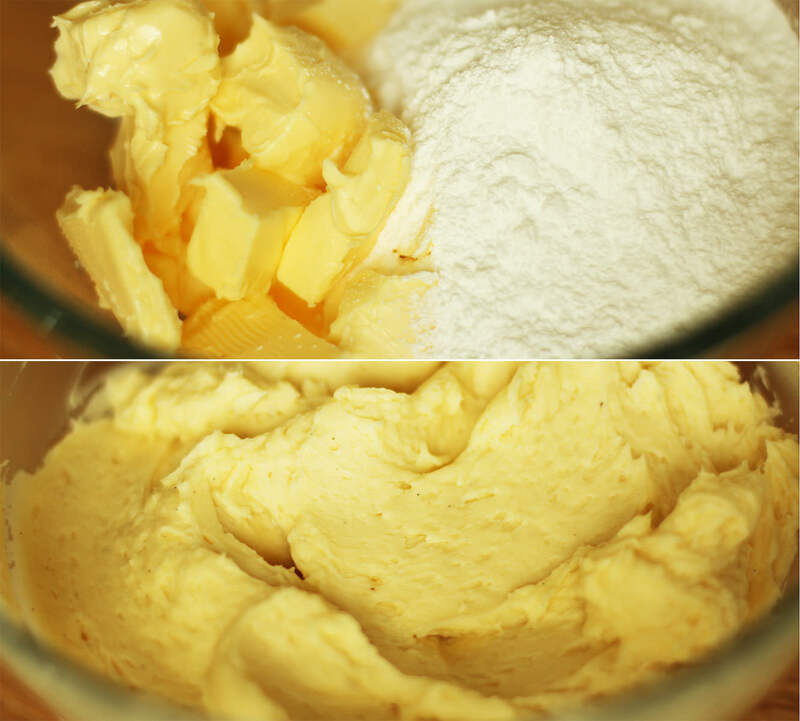 Using an electric whisk if you have one, a wooden spoon if not, beat together the butter/margarine and caster sugar until light and fluffy. I use Stork margarine for sponge as it’s pretty cheap and does the trick well. Chop up the banana. You can mash it if you want but the whisk kinda does the work for you so why bother? The riper the bananas the more intense the flavour. 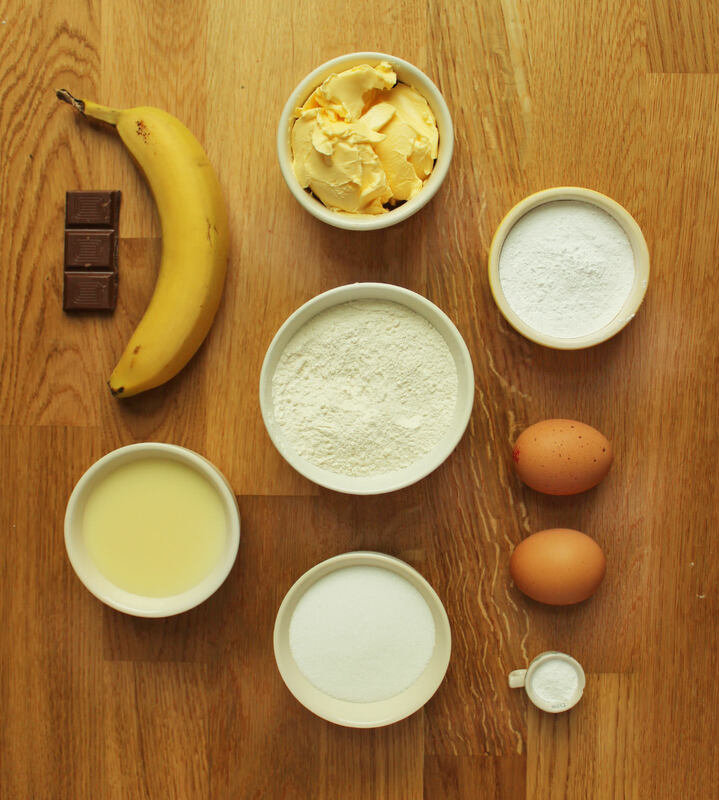 Add the eggs and banana to the mix and whisk until combined. Whisk in the flour and baking powder, stir it in a little first with the beaters to prevent a mushroom cloud of flour hitting you in the face. 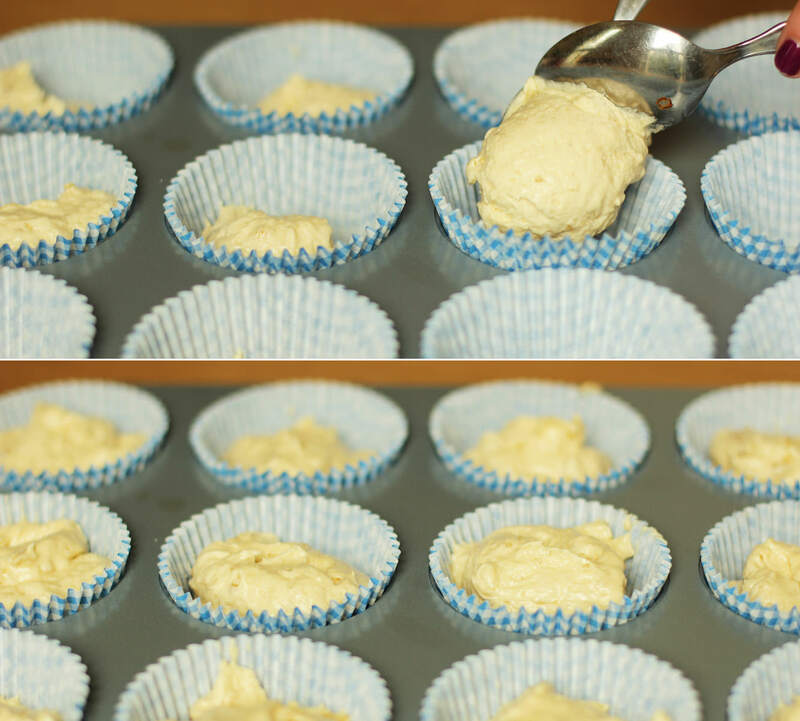 Distribute the mixture evenly between 12 cupcake/muffin cases. Usually about two rounded dessert spoons in each is a nice amount. Bake on gas mark 4/350F/180C for 20-25 minutes until golden brown and springy to the touch. While the cakes are in the oven, make the filling by combining all the ingredients in a small/medium saucepan. Gently melt the mixture on a low heat and then turn it up to medium. Boil slowly for 7-10 minutes stirring the whole time. See those flecks in my mix? Took my eyes off the prize. Combine the icing ingredients by gently stirring the icing sugar and butter together before putting the whisk on the lowest setting. Add the cream and the vanilla once they’ve started to combine. The double cream will thicken it nicely and add a lightness to the texture. It’s really yummy but probably not the best for piping consistency, so I wouldn’t dream up fancy decoration with this one. That’s pretty consistent with a banoffee pie anyway, when was the last time you saw a pretty one of those? Yeah. Exactly. If you’ve been following this series so far then you know the drill by now. 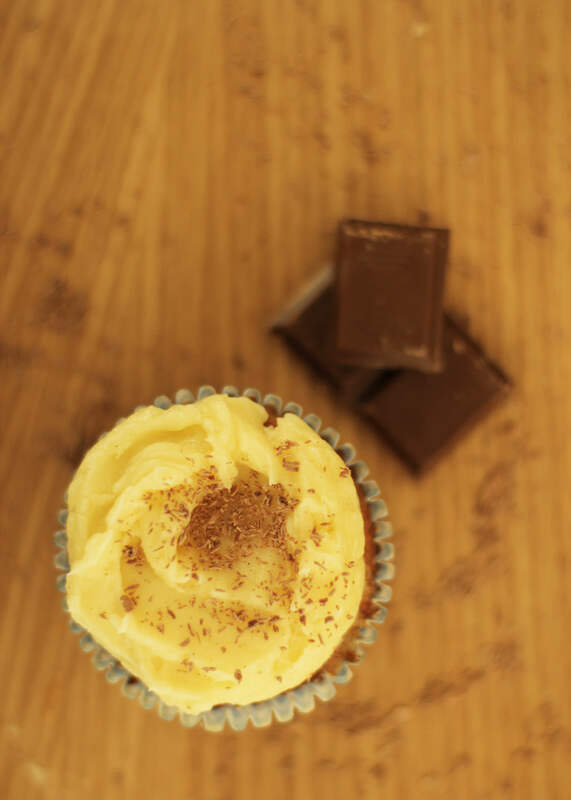 Cut a hole in the cupcake with a small sharp knife and discard the middle bit, keeping only the lid. Fill with the toffee sauce and replace the cake lid. Spread the icing on top and grate over a little chocolate for an authentic look.